Radioactive contamination,also called radiological contamination,is the deposition of,or presence of radioactive substances on surfaces or within solids,liquids or gases (including the human body),where their presence is unintended or undesirable (from IAEA definition). Such contamination presents a hazard because of the radioactive decay of the contaminants,which emit harmful ionising radiation such as alpha particles or beta particles,gamma rays or neutrons.The degree of hazard is determined by the concentration of the contaminants,the energy of the radiation being emitted,the type of radiation,and the proximity of the contamination to organs of the body.It is important to be clear that the contamination gives rise to the radiation hazard,and the terms "radiation" and "contamination" are not interchangeable. 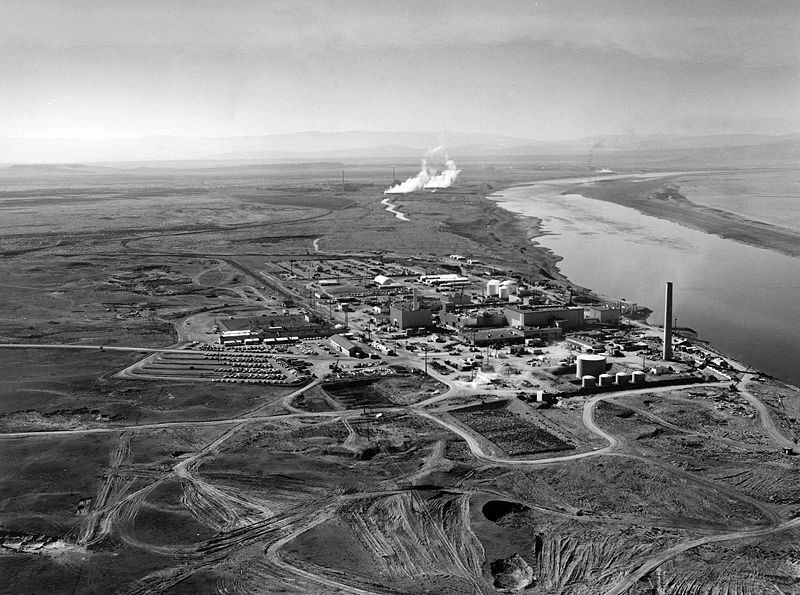 Contamination may affect a person,a place,an animal,or an object such as clothing.Following an atmospheric nuclear weapon discharge or a nuclear reactor containment breach,the air,soil,people,plants,and animals in the vicinity will become contaminated by nuclear fuel and fission products.A spilled vial of radioactive material like uranyl nitrate may contaminate the floor and any rags used to wipe up the spill.Cases of widespread radioactive contamination include the Bikini Atoll,the Rocky Flats Plant in Colorado,the Fukushima Daiichi nuclear disaster,the Chernobyl disaster,and the area around the Mayak facility in Russia. Being within the intended Containment differentiates radioactive material from radioactive contamination.When radioactive materials are concentrated to a detectable level outside a containment,the area affected is generally referred to as "contaminated". There are a large number of techniques for containing radioactive material so that it does not spread beyond the containment and become contamination.In the case of liquids this is by the use of high integrity tanks or containers,usually with a sump system so that leakage can be detected by radiometric or conventional instrumentation. Where material is likely to become airborne,then extensive use is made of the glovebox,which is a common technique in hazardous laboratory and process operations in many industries.The gloveboxes are kept under a slight negative pressure and the vent gas is filtered in high efficiency filters,which are monitored by radiological instrumentation to ensure they are functioning correctly.